Example of work produced during workshop session. 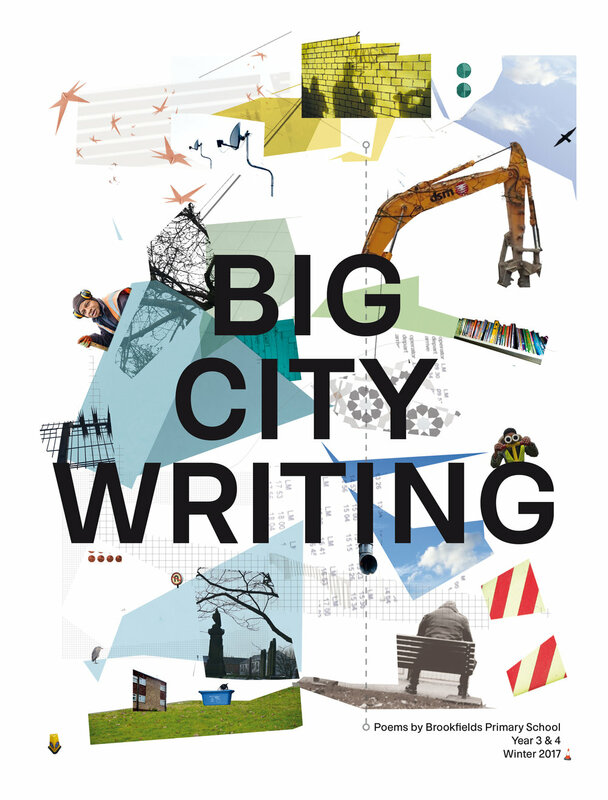 "Big City Writing was a writing poetry project the Year 3 and Year 4 students of Brookfields Primary School. It took inspiration from photographs of the local landscape and resulted in the publication of a poetry newspaper which was launched on World Book Day with a poetry reading event attended by parents and friends"
More information about Stan's Cafe can be found here. Digital copy of the paper is available on Issuu with physical print by Newspaper Club.